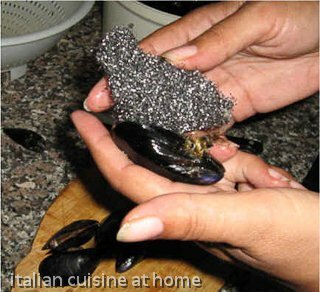 This is a very popular an cheap recipe, very perfumed and also quick to make. 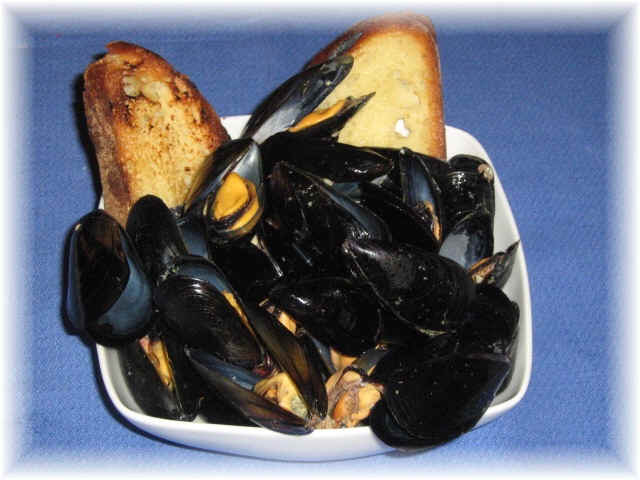 This blue mussels soup is widespread also in France and Spain, where the blue mussels are farmed. 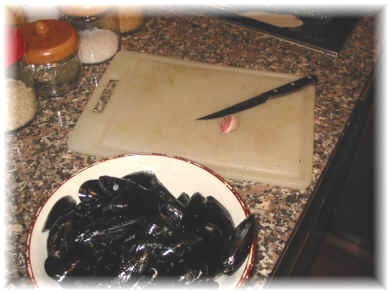 Notes to the recipe: The blue mussels soup is a traditional manner to make these mussels. The name soup is due to the fact that you eat them with their broth/stock. 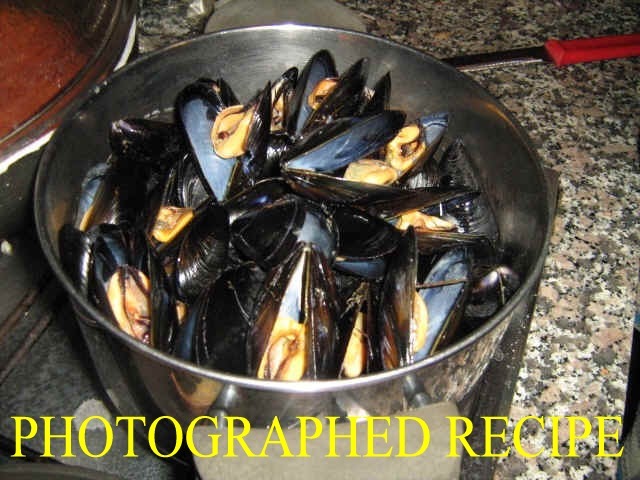 This recipe is considered also a starter. So you can choose by your needs how to serve them.